Super Duo-Lens Paloma Silver & Black Need Help? 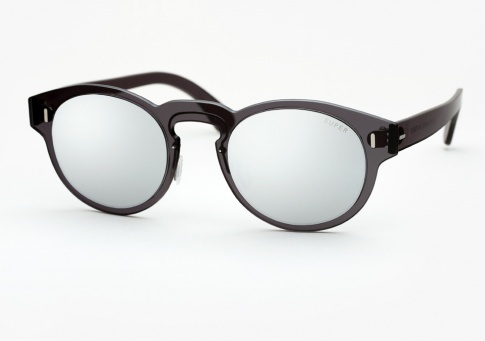 This version of Paloma TUTTOLENTE (the Duo-Lens), is a unisex design made entirely out of two separate lenses that create the illusion of a traditional frame structure. Here, lens elements of two complementary colors, black lenses for what we traditionally associate for the frame, was paired together with silver mirror lenses for the "lens portion" - the result is undoubtedly original. This model sports all lenses by ZEISS.